Fuel Up Cookies.. What? Yeah, you read that right! These cookies are full of good-for-you ingredients that will give your body the fuel it needs. Whether you're fueling up for along day at work, a killer training session at the gym, or just craving a cookie, you won't be sorry to have these on hand. But first, I have to give credit where credit is due! 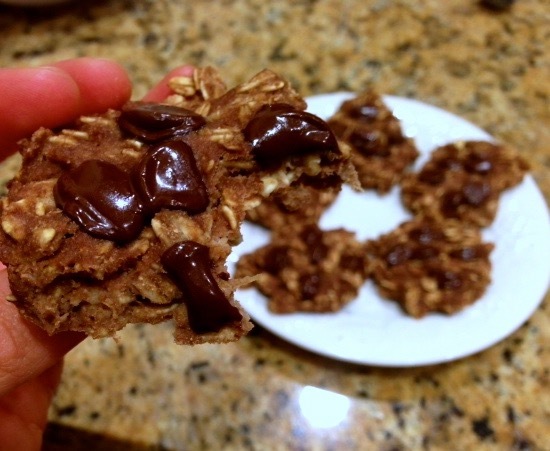 Gabrielle from "Clean Eating Days & Wheatless Nights" shared her phenomenal cookie recipe last week. After making batch (or 2) using her recipe, I decided to tweak the recipe a bit in order to lower the overall calories (so you can eat more of them, duh) and add more protein! They turned out quite a bit different from Gabrielle's version, but they are SO GOOD. If you are a peanut butter lover, alike myself (I mean, who isn't ), you can thank me later :) I will share my adapted recipe below. But fair warning, you might as well make a double batch because they are just. that. good.